Learning how to make and use your own natural cleaning recipes is a lot easier than you may think. Plus, they cost a lot less than most products you will buy to do the same job. 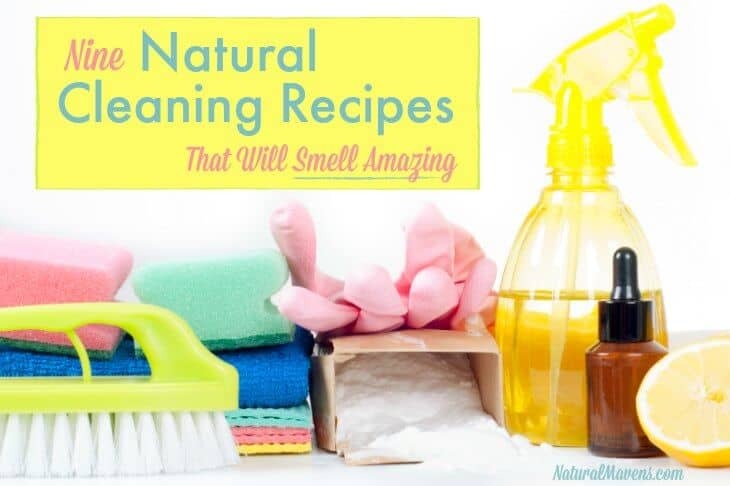 Many of the ingredients used for natural cleaners will already be in your cupboard. Here are 9 natural cleaning recipes to make that will have your home sparkling from top to bottom. Plus the addition of essential oils will make it smell amazing. Lets start with one of the smelliest parts of the house. Any garbage bin in the kitchen or bathroom can get stinky and needs disinfecting on a regular basis. Instead of using a store bought antibacterial spray, try a homemade natural deodorizer and disinfectant using powerful essential oils. Tea tree oil is the best pick when it comes to killing germs and bacteria. Combine it with lemon and peppermint and all those funky smells will be gone. Fill the bottle to about 3/4 with water. To use, spray garbage bins, let sit for ten minutes, then wipe clean and dry. 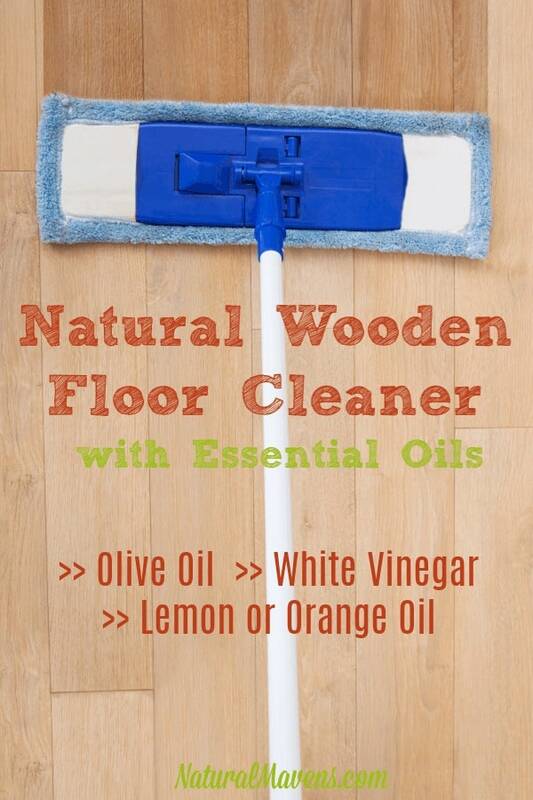 Give your floor a natural clean while spreading the smell of essential oils right through the house. This natural floor cleaner uses a chemical free soap so your floor will sparkle without the need for harsh chemicals. This recipe is not for wooden floors (see recipe below) but is ideal for tiles, linoleum and laminate. You can choose whatever essential oils you like. Lemon and peppermint make a refreshing, germ-fighting combo. Pine oil is reminiscent of Pine Sol, and goes well with tea tree oil for added sanitizing power. If your floor is extra dirty or porous, as is the case with linoleum, first scrub it with a natural abrasive cleaner like Bon Ami (or the recipe below). Follow with the natural soap solution, then do an extra mopping if any residue remains. Wood is best cleaned with oil as it will both clean and treat the wood. Mix up a blend of 3 parts olive oil with 1 part white vinegar in a dark colored spray bottle. Add a few drops of lemon or orange oil. Shake well before applying over a small area, and then buffing into your wood floor using a clean cloth. This can be used to clean glass windows, mirrors and picture frames. It makes glass sparkle while adding a clean and fresh scent to your home. Fill a spray bottle with 1 part vinegar to 2 parts water. Shake the bottle well, spray and wipe glass clean. Clean sinks, tubs, grout and tile using this homemade natural abrasive cleaner. It acts like a scrub and helps remove surface and ingrained dirt. In a mixing bowl, combine baking soda several squirts of castile soap and vodka or witch hazel to make a paste. You can keep the mixture in a container or add to an empty squeeze bottle for ease of use. Make sure to clearly label it. Buff and shine your wood furniture with this blend you can mix up at home. Fill a small bottle with 3 parts olive or coconut oil and 1 part vinegar. Shake well and apply to a clean, lint-free cloth before rubbing into your wood furniture. The result will be a beautiful, citrus-scented buff and shine. A note of caution, use sparingly – a little oil goes a long way on wood. This room freshening spray can be used any time, any where to freshen up your home. Fill a spray bottle 3/4 full with water. Add 1/4 teaspoon witch hazel or vodka. Add 20 drops each of peppermint and lemon oils. Shake well to combine and use as often as desired. This spray will invigorate the senses while clearing the mind for better focus. It gives an instant mood lift. You can also substitute cinnamon for the peppermint to create a mix that is a slice of heaven. It smells just like Mom’s apple pie! Cinnamon oil is potent, so you’ll only need around 5 drops. Soft fabric lunch boxes are great but they can get a bit stinky. Particularly if they have strong smelling food sitting in them for any length of time. To kill germs and remove odors, spray the inside of your child’s lunch box with the following mix. 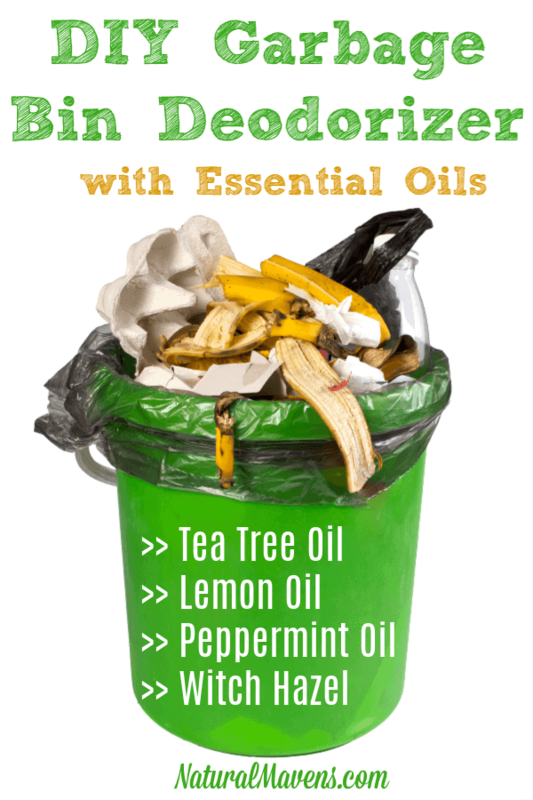 The essential oils will disinfect and deodorize fast leaving it with a clean and fresh smell. Spray the lunch box and let it sit for 15 minutes to a half hour. Wipe clean and dry with a paper towel, then leave open to air-dry for a day. No more smells. No more germs. This last recipe isn’t a household cleaner, but having a clean smelling dog can make a big difference to your home. Particularly if your dog comes in from outside smelling a bit off. You can get the dust off him and chase away any lingering pests like fleas, mites or ticks, with this homemade spray. Your pooch might not like it much but will smell great to you AND save you the trouble of hauling him off to the bathtub. Shake the bottle well, spritz your dog from head to tail, let it sit for as long as he’ll let you. Use paper towel to dry him off. Don’t forget to give him a treat for his troubles. Tea tree oil is also a good one to use on dogs and can be substituted for any of the above. Using natural cleaners will give you a clean home without the need for harsh chemicals. Start with the recipes above and your home will not only be clean, but thanks to essential oils, will smell amazing too.